Get ready, Spokane. 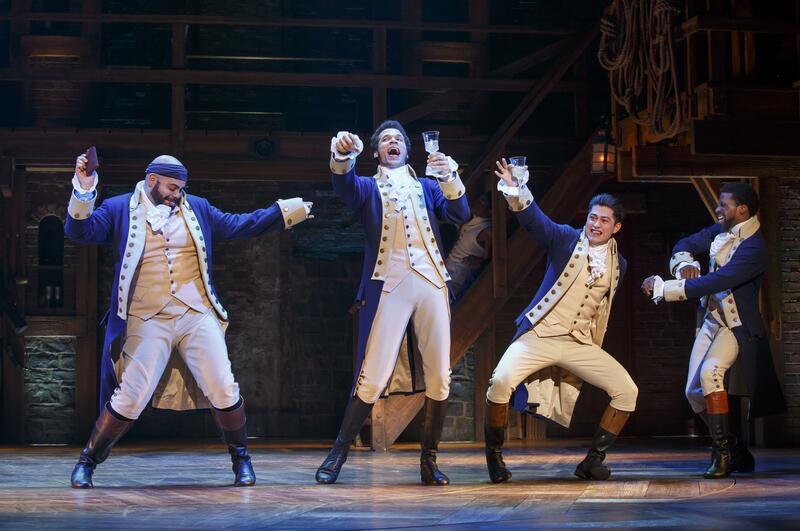 “Hamilton” is coming to town. We’re just going to have to wait a bit. In announcing the 2019-20 STCU Best of Broadway season, West Coast Entertainment on Monday teased a local run by the record-setting Broadway sensation during the 2020-21 season. “Hamilton: An American Musical,” written by Lin-Manuel Miranda, tells the story of the founding of America through the life and death of Alexander Hamilton, the country’s first treasury secretary. The rap and sung-through musical opened in 2015, earned 16 Tony nominations – winning 11, including best musical – won the Pulitzer Prize for Drama and a Grammy for best cast recording. In 2018, it grossed $161 million in New York alone. Other Western stops on the 2020-21 “Hamilton” tour include Denver and Tucson, Arizona, as well as Calgary, Edmonton and Vancouver in Canada. It played Seattle and Portland in 2018, and is currently on an extended run through the summer in San Francisco. Among West Coast Entertainment’s special engagements for the season, look for a return of “The Book of Mormon” (May 5-10, 2020), which ran in back-to-back seasons in 2014 and 2015, the annual “Mannheim Steamroller Christmas” (Dec. 7, 2019), “An American in Paris” (Jan. 14-15, 2020) and “Once on this Island” (March 17-18, 2020). The speaker series National Geographic Live will return with three events this season as well. Season ticket packages are on sale now. Broadway packages include five engagements and prices range from $250 to $382. There is only one National Geographic Live package, including three speaking events, for $81. Get tickets online at wcebroadway.com, by phone at (800) 843-4667 or in person at the TicketsWest box office at the Spokane Arena, 720 W. Mallon Ave. Published: April 15, 2019, 4:50 p.m. Updated: April 16, 2019, 12:13 a.m.